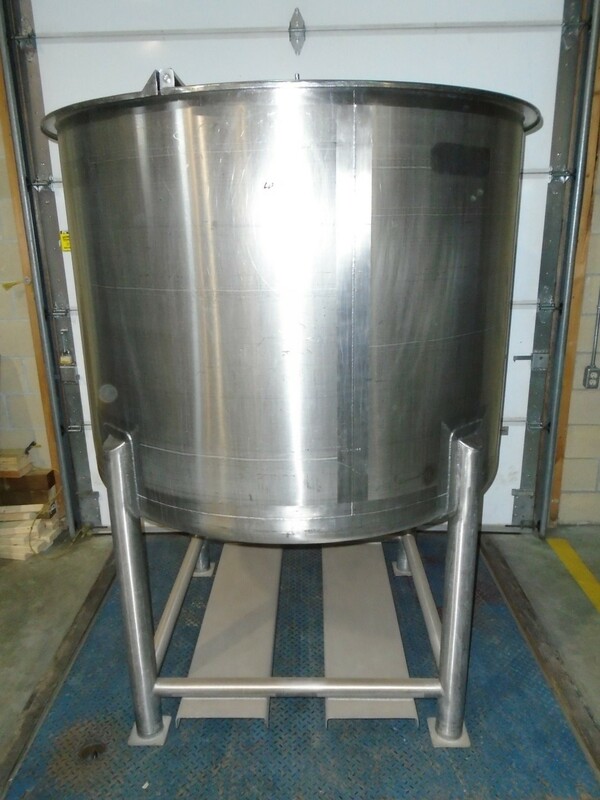 Used Highland approx 500 Gallon (2000Litres) Stainless Steel Tank. Features: approx 44" Diameter x 56" Deep x 77" Overall Height. Dish bottom, 1.25" Bottom Discharge, hinged lid, on four legs with fork lift channels.